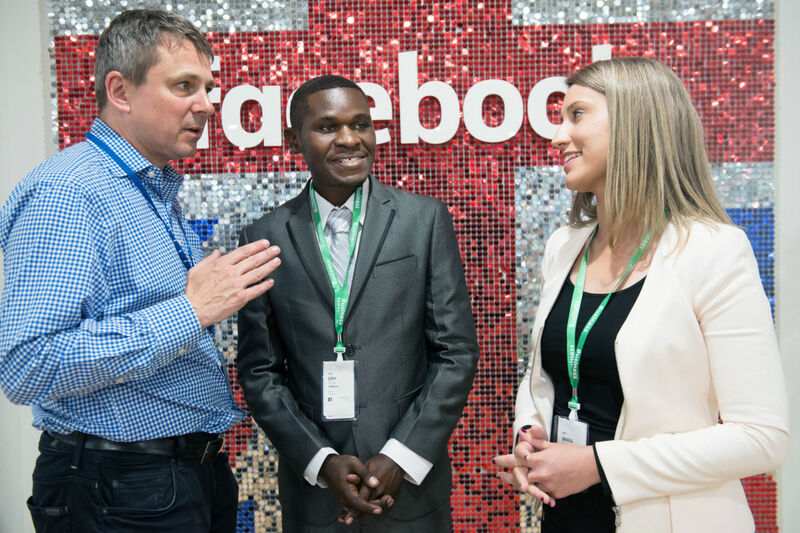 Earlier this year, Una Hakika project coordinator John Otunga was selected as the co-winner of the Commonwealth Digital Challenge operated by the Thomson Foundation with funding from the Elizabeth R Media Fund. The competition aimed to provide young and aspiring media managers from across the Commonwealth with skills and tools necessary for their organizations to use digital technology for addressing challenges in their home countries. John was invited to spend a week of intensive activities with British media organizations during the Commonwealth Heads of Government Meeting in London in April of this year. Now back home in Kenya, John will benefit from a year of mentoring by media professionals for his work to integrate the mobile phone-based Una Hakika rumour management system with the Amani FM community radio station in Tana River County. Here are John’s own words about his time in London and his plans to put this experience to use in his own community. What were the key takeaways from your week in London? It was a great experience and I want to thank the Thomson Foundation for facilitating the programme. I got a lot of exposure that changed my perspective on many fronts. My visit to London was timely as I had the opportunity to attend several sessions of the Commonwealth Heads of Government Meeting. I also visited the House of Lords, Facebook’s London office, the Press Association, media houses like BBC Broadcasting House, Channel 4, and BBC Surrey and Sussex. All this was meant to give me an opportunity to interact with experts, chief editors, heads of digital departments and misinformation consultants and learn from their experiences while also telling them about the Una Hakika misinformation management initiative as well as the idea of integrating it with Amani FM, a community radio in Tana Delta. Misinformation, junk or “fake news” is not a new phenomenon but it’s a global problem that has existed for a long time and has never before received as much attention as it is now in the digital era. Different media houses and organizations use different approaches and tools in dealing with this menace. Some have departments and individuals assigned to do fact checking and verification. There is a dire need for a solution to the problem of fake news and misinformation. Monitoring and verifying the news without disseminating verified information or facts is not enough. Instead, it is important to always give feedback to ensure that the impact of the false information is neutralised before adversely affecting the audience. A lot of interest is building up around misinformation management globally but most of the people and organizations involved lack well-defined systems that can be employed and also be useful to other organizations. The majority of efforts are theoretical, a fact which makes the Una Hakika initiative stand out as best practice in the field of misinformation management since it is a tailor-made system which assists practically in monitoring the spread of misinformation and at the same time verifies and dispels harmful information which would cause a lot of pain to communities if left unattended. One of the strengths of Una Hakika is that it can also be used in different contexts and settings. Now that you are home in Kenya, how do you foresee applying the lessons of your mentorship to peacebuilding in Tana Delta? Fake news and rumours have in the past incited communities in different parts of Kenya to engage in bloody conflicts. The media sector has always had a challenge in quickly dispelling incendiary rumours and fake news to short-circuit tensions that would lead to conflicts since getting the facts and reporting back to the communities is impeded by many factors such as the inaccessibility of some places, especially rural areas, the concentration of mainstream media on national rather than local news, and the lack of means to expeditiously verify facts at the grassroots level. This challenge is exacerbated by the use of different social media platforms as they facilitate the faster spread of any form of information, whether true or false. In an ethnically divided country such news needs to be verified within the shortest time possible in order to avoid conflicts and other irreversible negative effects. The idea of my efforts now is to have the Una Hakika rumour management system feed into Amani FM, a community radio station in the Tana Delta. For those who don’t know, Una Hakika is a system that I’ve used for the past four years and has proven to be effective in dispelling rumours. It is an SMS-based platform to which community members subscribe report rumours whenever they hear them. I then work with our team to find the facts and report back with accurate information. This system operates in three basic stages – crowdsourcing rumour reports, verification, and feedback to the community. The community participates at all of the stages process as they send in rumour reports, then trained community members from each village assist in verifying rumours, and then in the final stage they help to spread accurate information. The third stage is where community radio comes in as a channel of broadcasting facts. The verification stage not only involves the volunteers but also other stakeholders like local government authorities and community organizations. The SMS system can also be used to broadcast facts when the message needs to only target a specific village or individual. This will be a pilot project in Tana Delta and after its successful implementation we shall scale up by replicating the same in over 42 other community radios in Kenya making it a countrywide grassroots misinformation management project.